Elkhart County’s Church Community Services quickly found ways for Geocel employee volunteers to assist them in serving the Elkhart County area. 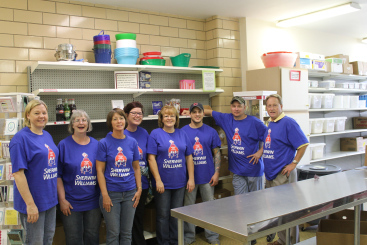 Last Wednesday, 9 employees from Geocel assisted Elkhart County’s Church Community Services in a variety of ways. From 12:30 – 2:30, one group helped the Food Bank of Elkhart County sort hundreds of pounds of food, while the other group helped Soup of Success by assembling over 150 ‘No Worry Vegetable Curry’ soups. The Sherwin-Williams Company often encourages their employees to find ways to give back to their own communities. So recently Sherwin-Williams contacted Church Community Services in the hopes that they could connect with Geocel, a local Sherwin-Williams company that specializes in sealants and adhesives. The goal was to determine if the Geocel leadership team might be able to engage their employees in the Elkhart community in a sustainable, meaningful way. Because of the large demand for help throughout Church Community Services’ organization right now, they quickly found work them to do. 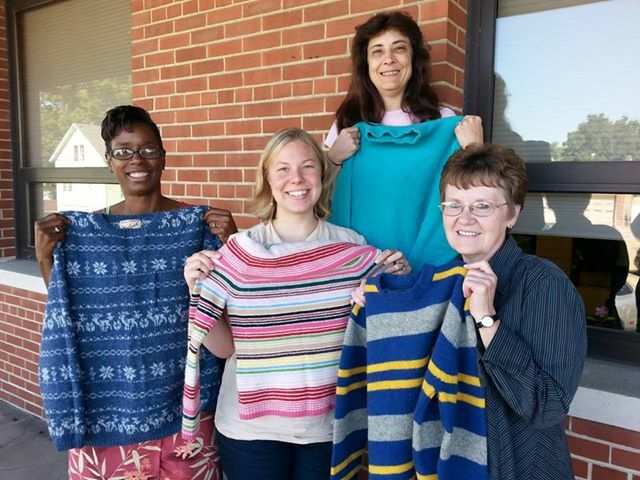 If you come across wool sweaters in a thrift store or in the depths of your basement, attic or closet, Church Community Services would love to have them! The mittens being made from them are gorgeous and help empower women. Church Community Services is in need of some good hearted folk who aren’t afraid of doing some lifting, to help out in the warehouse. We need 4 people Monday – Friday from 12-3 p.m. If you can assist with any of those shifts, please contact Gwen at 574.295.3673. Call soon, call often. Thank you! People of all ages contribute their time and muscles to picking vegetables at Goshen’s ‘Feed to Seed’ community garden. Volunteers needed to help harvest vegetables. Church Community Services’ Feed to Seed gardens are starting to explode with fresh vegetables. Help is needed to harvest the produce. As of today, Church Community Services’ food pantry program has provided a grand total of 23,468 lbs of vegetables so far this year to clients throughout Elkhart County! Thanks to all the volunteers who give generously of their time and their muscles to help in our gardens. Listed below are all the gardens and scheduled work days. PLEASE CALL IF YOU WOULD LIKE TO PARTICIPATE! 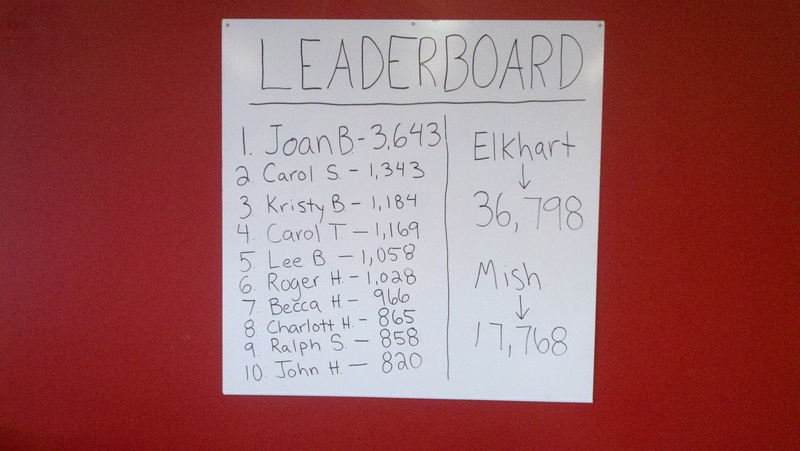 Elkhart GOP Victory Center could be 1st in the nation this Saturday! Last Saturday we made 10,000 calls from Elkhart‘s Republican Victory Center, which was the 3rd most calls of ANY GOP Victory Center in the nation. We can beat that! Let’s be in 1st place this Saturday! On the last Super Saturday our Republican Victory Center made the 3rd most calls in the nation. But we don’t have to stop there. 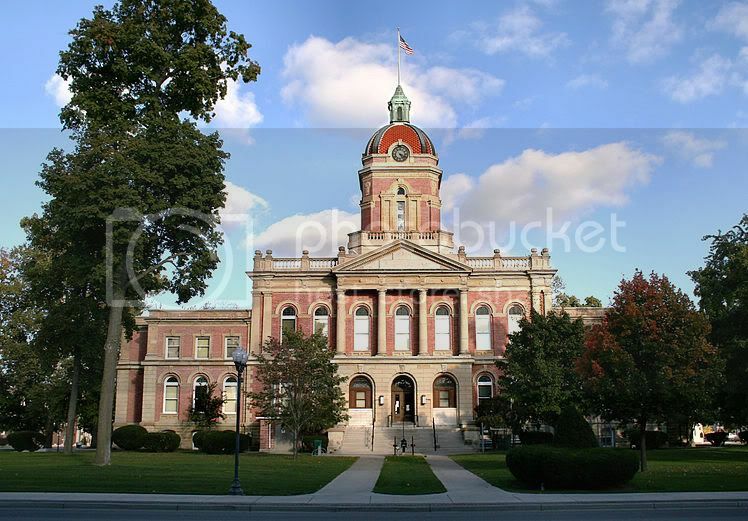 THIS SUPER SATURDAY–LET’S PUT ELKHART COUNTY IN THE FIRST PLACE! 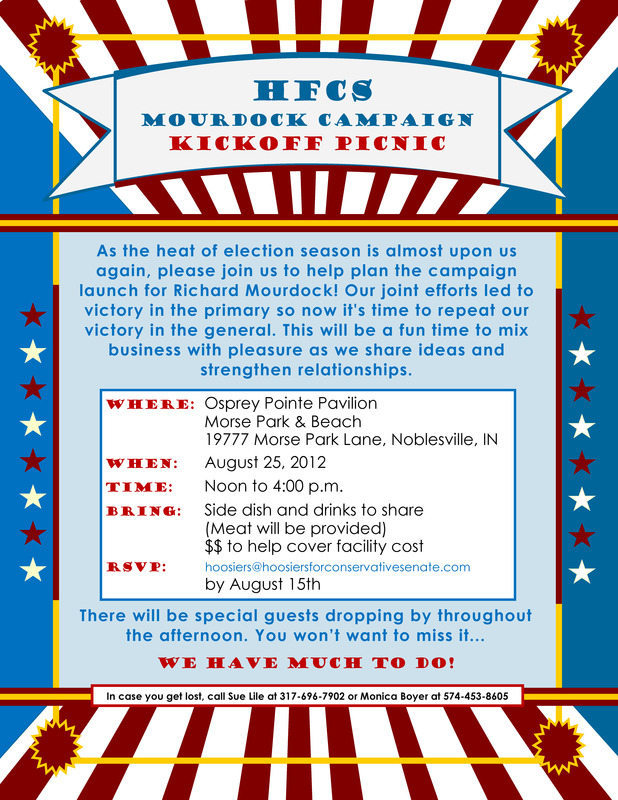 If you can sign up for a shift on the phones contact Ben Parsons at (574) 612-8735 or bparson@indgop.org. Time: 9:00 a.m. to 9:00 p.m.
I’ve made calls from the center and am planning on being there most of Saturday night. I promise the time goes fast, the phones are easy to use, the people you will meet at the Victory Center are all friendly and helpful. The Tea-Mac party and the KSNM (Kosciusko Silent No More) will be there. We are not only going to set new records, we’ll have a great time too. See you Saturday night! Help Jackie Walorski, Mike Pence and Richard Murdock this Saturday at the Republican Elkhart County Victory Center, 1620 South Nappanee, Elkhart, Indiana. WEEKLY ‘SEED TO FEED’ UPDATE…IT IS ALL GOOD! volunteers at the Goshen Garden on Tuesday. Thank You all. directly across from Sorg Jewelers, C.R. 17. With 30 volunteers, weeds pulled and fast pickers, we could pick a 1000# of green beans in 3 hrs—-we have lots of beans!!!!! and peppers in 1 1/2 hours. helped pick. See you Monday and Tuesday at the gardens. 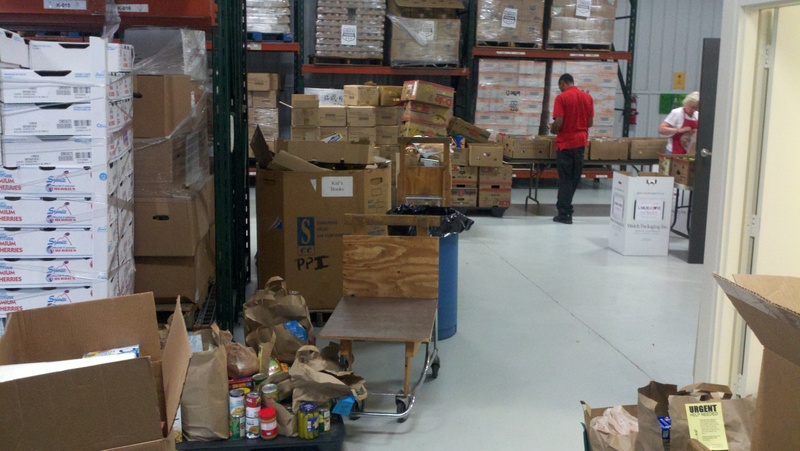 ‘Seed to Feed’ has yielded 510 pounds of food so far this summer! More volunteers needed! Yield from the Goshen farm. 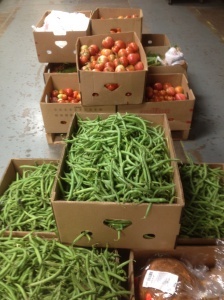 Beautiful produce from our beautiful Seed to Feed acre in Goshen. Our clients are so happy! 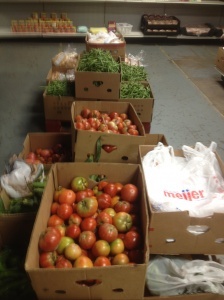 Fresh vegetables for Elkhart Counties food pantries. Fresh air, exercise, good honest dirt, and service that helps sustains CCS’s food supply: From now till the end of harvest season, Seed to Feed will need at least 15 volunteers 2 days a week. We will pick the green beans and sweet corn at the Bullard Garden every Monday at 9:00am. It is located on C.R.17 and Middlebury St, directly across from Sorg Jewelers on the west side of C.R.17. The Fresh Produce Garden in Goshen will be picked every Tuesday at 7:00pm. It is located at 14723 CR36. It is just east of CR33 about 1/8 of a mile on the north side of CR36. The gardens are really starting to produce nice yields each week and should until the end of the season. If you can help, please contact Church Community Services either by email (dhhooch@aol.com) or phone (574-349-4905). The Humane Society of Elkhart County’s ‘Red Barn Resale Shop’ is accepting gently used clothes, furniture, household items, books and gift items. 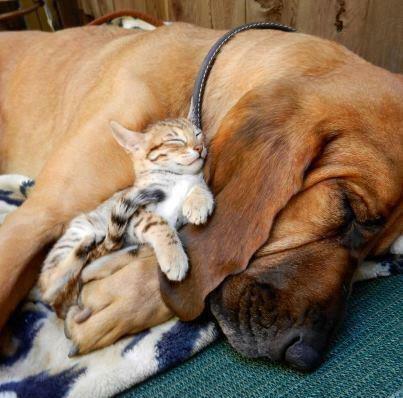 Donations can be dropped off at the Humane Society of Elkhart County, 54687 C.R. 19, Bristol, Indiana. ( One mile off of C.R. 17 off of S.R. 120.) For more informantion call: 574-848-4225. Please join us on our sale days Friday through Saturday from 10:00 a.m. to 4:00 p.m. including August 10 & 11; PET FEST DAY on August 18 from 11:00 a.m. to 2:00 p.m.; August 27 & 28; September 14 & 15; September 28 & 29; October 12 & 13; October 26 & 27; November 9 & 10. 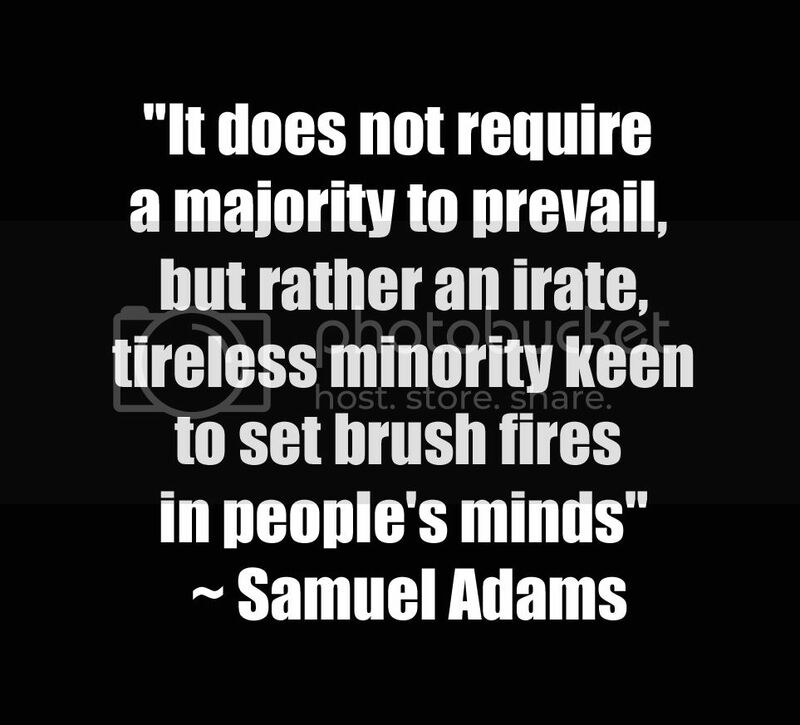 They depend upon us. PLEASE don’t let them down. Our first Seed to Feed harvest — so beautiful. Much more to come! There are some really IMPORTANT events coming up this next week. 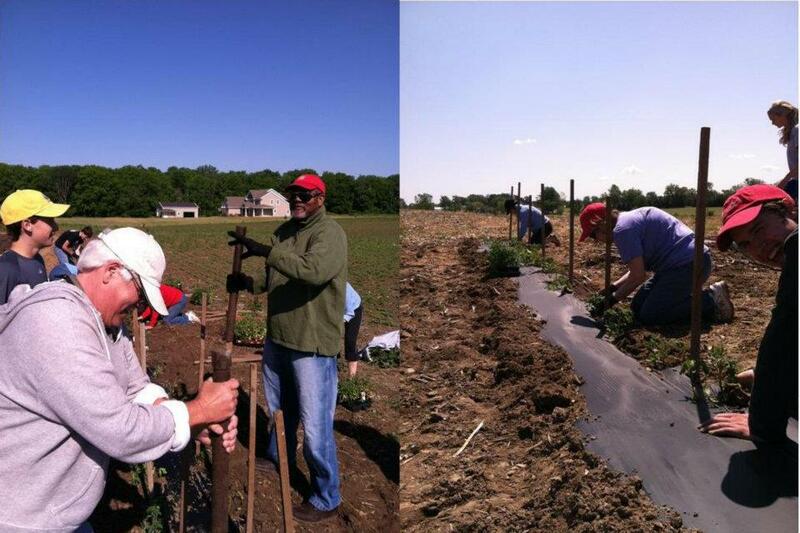 Volunteers are needed to pick green beans at the Bullard Farm on Monday, Aug 6th at 9:00 a.m. The location is on CR17, just south of CR14 on the west side of the road. It is directly across from Sorg Jewelers. 8 to 10 volunteers are needed. 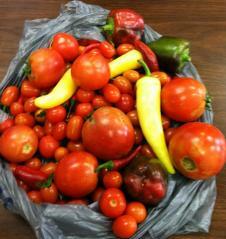 ‘Seed to Feed’ also needs help picking produce and tying up tomato plants in the Goshen garden. The meet-up time is at 7:00 p.m. on Tuesday, Aug 7th. The garden is located on CR 36, just east of CR 33 by about 4-5 blocks on the north side. As they start to get good yields from the garden, ‘Seed to Feed’ wants to thank all the volunteers who come out to help and to welcome our newest volunteers who are joining our weekly updates. Thanks to the Elkhart community for supporting the “Seed to Feed” program. When the Seed to Feed program started, there were only two people and an idea. Now the group has 40 members and 70 acres of land. Dave Hochstetler is the coordinator for the Seed to Feed program, which is trying to grow fresh produce for Church Community Services, an Elkhart food pantry. 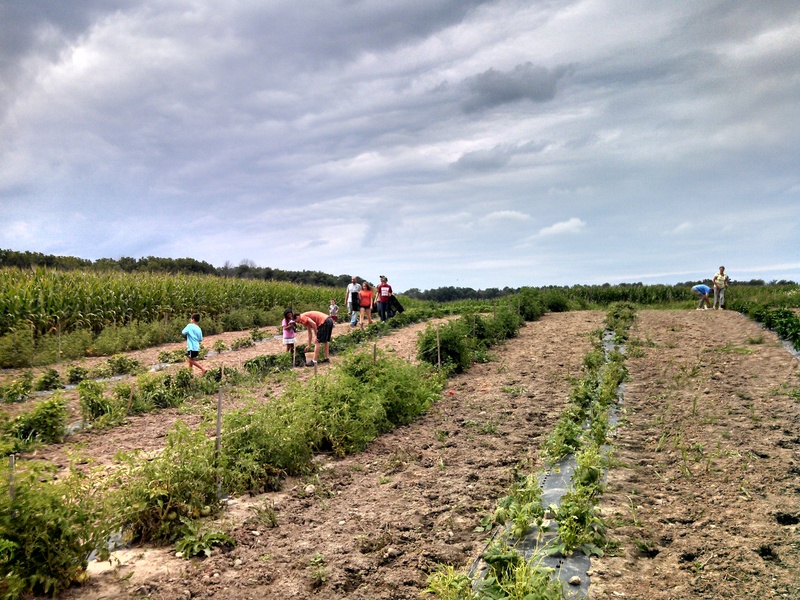 The group held its first harvest on Tuesday with volunteers coming out to help pick. The garden is one acre, full of peppers, onions, corn, bell peppers, tomatoes and green beans. They have 70 acres of land total, with some acres full of crops they can sell and use the proceeds to buy produce at auction. Volunteers working in the garden in Goshen. While the program only extends to Church Community Services, its organizers hope to expand it so they can help all of the 30-plus pantries in the Elkhart County area. The Future Farmers of America chapters for both NorthWood and Fairfield high schools have also become involved in the project. Students from the Future Farmers of America from both Northwood and Fairfield came out to Tuesday’s harvest. Director of Food Services Mary Kneller came out on Tuesday to pick vegetables. Since CCS feeds about 2,500 families a month, it would take a large project to be able to feed all of them fresh vegetables. The group started last winter and planted the seeds in late May and will continue harvesting throughout the summer and will be looking for people to help. They are also looking for other people to donate land they can use for gardening. Kneller said she didn’t know what to expect when they first started the program. Right now the group has 70 acres and hope to grow that number until they have enough land to be able to feed all the hungry families in the area. “It’s Elkhart County taking care of Elkhart County,” she said. More about ‘Seed to Feed’ HERE and HERE. URGENT: Make calls for Jackie, Mike & Richard…nothing you can do will help them MORE! 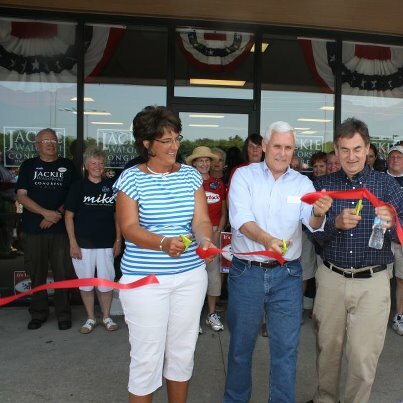 Jackie Walorski, Mike Pence and Richard Mourdock at the opening Elkhart Victory Center. PHONE BANKING: NOTHING YOU CAN DO WILL HELP OUR REPUBLICAN CANDIDATES MORE!!! This is not a fund raiser. It is not pejorative. 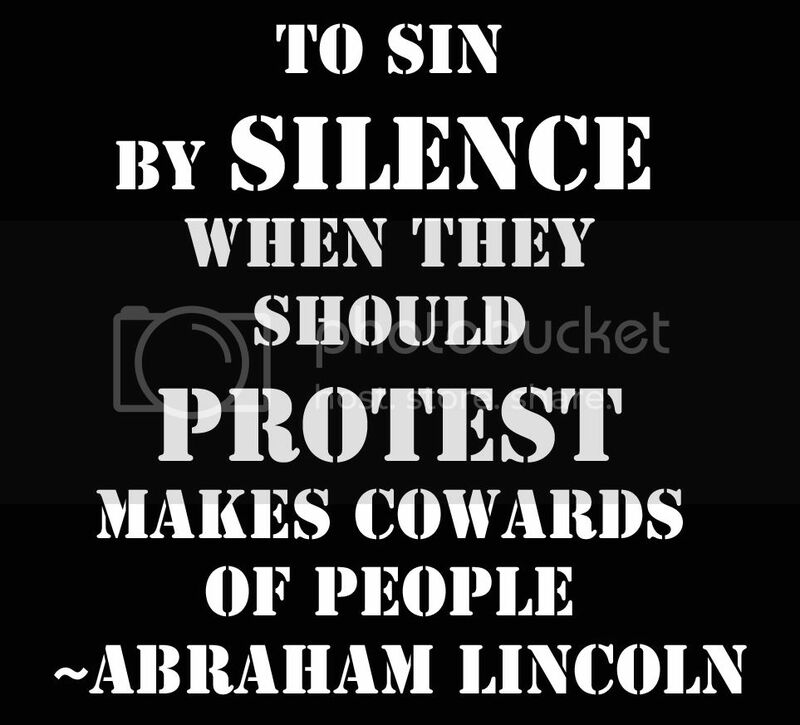 However it is crucial that Richard Mourdock’s, Jackie Walorski’s and Mike Pence’s supporters man the phones and sort through the data to identify our voters. It is quick. It is easy. The Victory Centers are air-conditioned. There are drinks and snacks. And you will get to spend time with friendly like-minded people. 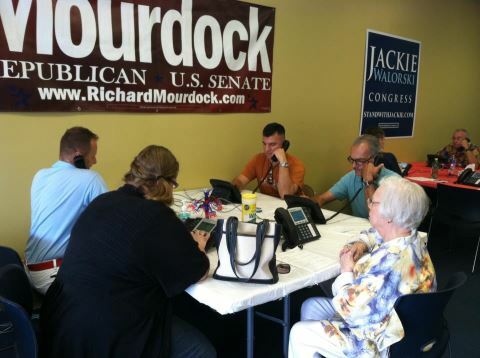 Jackie cranking out the calls with her supporters today in Mishawaka. JOIN US! SEE YOU SATURDAY AND IN THE DAYS LEADING UP TO THE ELECTION! On May 10, 1940, Winston Churchill became Prime Minister. When he met his Cabinet on May 13 he told them that “I have nothing to offer but blood, toil, tears and sweat.” He repeated that phrase later in the day when he asked the House of Commons for a vote of confidence. “We are in the preliminary stage of one of the greatest battles in history…. That we are in action at many points … and many preparations have to be made here at home. “I would say to the House as I said to those who have joined this government: I have nothing to offer but blood, toil, tears and sweat. “We have before us an ordeal of the most grievous kind. We have before us many, many long months of struggle and of suffering. Open from 9:00 a.m. to 9:00 p.m. Mon.-Sat. Hundreds of motorcycles will be rolling through the Elkhart community soon to honor the families of wounded and fallen troops. 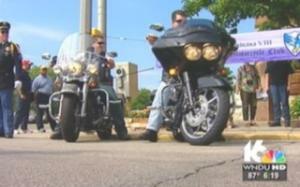 The Freedom Ride and Bike Night Rally will happen Saturday, August 11. Members of local law enforcement bike groups will ride through Elkhart, Bristol, Middlebury, Goshen, Nappanee, and Wakarusa escorting local families of soldiers killed in action. Organizers say they aim to draw people out to line the roads in support of the families. “I have a lot of friends and buddies who have injures from previous wars and this one, who have served 20 years and to have my family involved in 3 different wars, it’s really kind of a key point to me,” said Jim Vance of the Elkhart Fire Department.